Meet some of 2017’s successful students at Booroongen Djugun College. 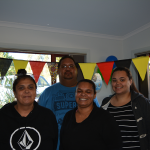 Liz, Harold, Angela and Kirra (L-R) have completed the introductory units of Certificate III in Health Support Services. The completion of these units will enable them to obtain work in the health and community care sector. These students have shown they work well together as a team and can now follow their ambitions to become Support Workers in the Kempsey community. Once in employment, they plan to complete their full qualification. Shanelle first came to Booroongen Djugun as part of an outdoor Work for the Dole scheme. On completion of that program, Shanelle followed her dream of working in Aged Care. Although very shy, Shanelle joined the Volunteer Training Program in order to gain experience and training in the field. Shanellle has had to overcome tremendous obstacles . She is in her fifties, does not drive and has never been employed. Her education finished at age 16 so getting back into study has been a challenge. 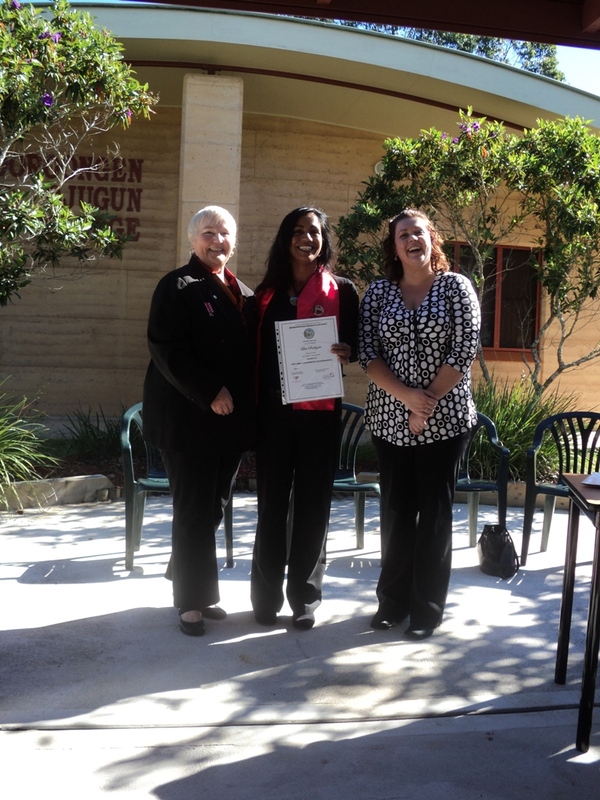 Through perseverance and courage Shanelle achieved her goal and was placed on a traineeship with Booroongen Aged Care. But the biggest challenge was yet to come… Shanelle suffered a heart attack while at work and was transported to Sydney for a bypass. She continued her work on light duties, went to Cardio Rehabilita­tion Clinics, underwent another bypass and has just been cleared by the cardiologist to re-commence full duties. She is a popular figure around all the sites at Booroongen with her cheery face and cheeky smile. Shanelle’s confidence and self-belief is inspiring and as she is well known in the community, will no doubt become a huge influence and a worthy role model for all her grandchildren. 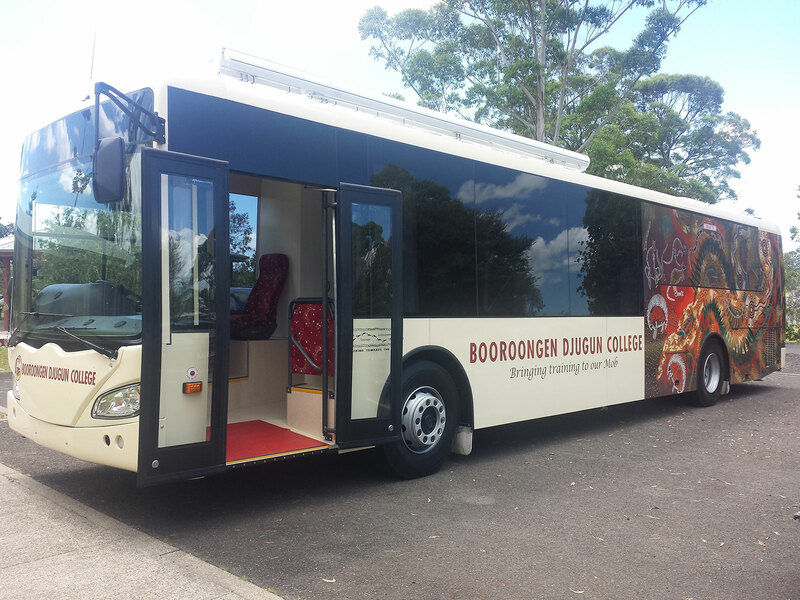 Booroongen Djugun is very proud to have been associated with Shanelle in her endeavours and looks forward to continuing a productive and strong partnership. Mr. Hartsuyker said “The mobile training unit will be of huge value to the local community, being able to provide top quality education and training to people who generally would not be able to take advantage of these learning opportunities. Transport is a major barrier to many young people gaining access to training, but this mobile training unit overcomes this problem by taking training to the people. 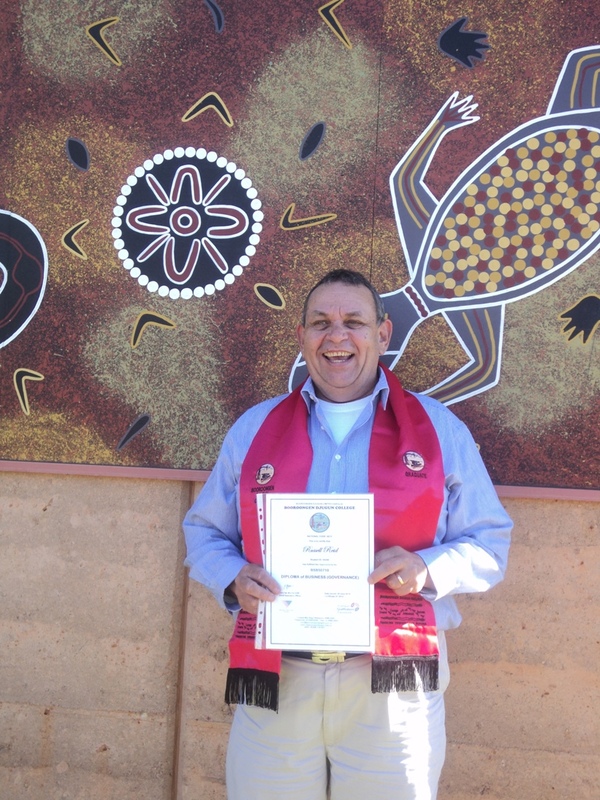 On 4th July 2013, a Graduation ceremony was held at the College for staff members of the Northern Community Operations Branch of the Office of Environment and Heritage. 10 students had graduated and completed the BSB50710 Diploma of Business (Governance). Among these graduates, two shared their stories of how this training has had an effect on their lives.